The Jesuit Day of Service is a spring service event in which 10 Northeast Ohio institutions—inspired by the spirit of Saint Ignatius of Loyola—lend a helping hand to serve neighborhood organizations in the Cleveland area. 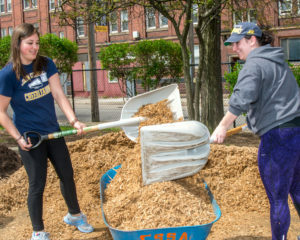 This project originated from an annual service day at JCU called “Cultivating Community Day” that began in the spring 2004 as part of Dr. Peggy Finucane’s class dedicated to learning about the economic, political, historical, and religious complexities of an urban neighborhood in Cleveland. In 2011, JCU partnered for the first time with St. Ignatius High School for a day of service in recognition of their joint 125th anniversaries. 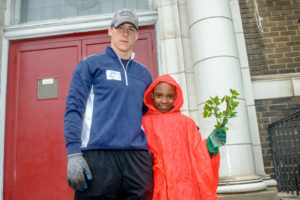 The day proved to be so popular that it led Councilman Joe Cimperman (St. Ignatius High School ’88 and JCU ’92) to suggest initiating a citywide day of service involving all of the Jesuit institutions in Northeast Ohio. In 2012, the name was changed to Jesuit Day of Service and the ten Jesuit institutions in the region partnered for a day of service together. Since then, it has evolved into an annual day of service inspired by the spirit of Saint Ignatius of Loyola. 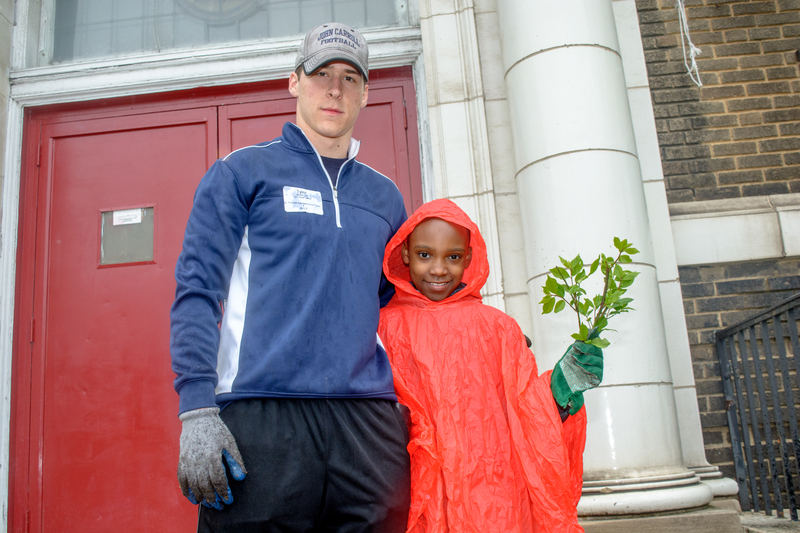 In 2014, close to 800 participants were involved and united in serving the local community. What began jointly as a 125th anniversary celebration of John Carroll University and St. Ignatius High School has continued as a way of connecting, collaborating, and celebrating the shared mission of Jesuit institutions. What we wish to foster through this joint effort is a real experience of service and solidarity with mutual benefit to those we are with. Foster awareness of the network of 10 Jesuit institutions in the greater Cleveland area. Highlight the impact of a shared mission directed outwardly towards service to others. Celebrate this joint collaboration of service to others. Foster solidarity with one another and the community. Witness to a greater purpose. We are Men and Women With and For Others – Today and Every Day!